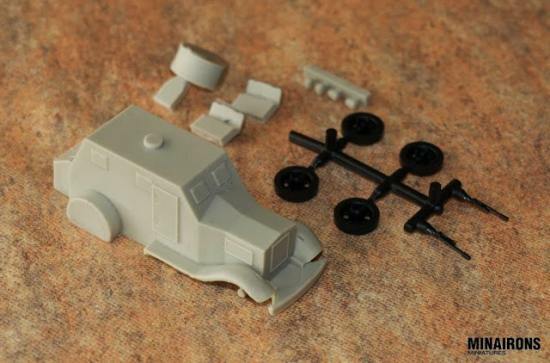 Minairons Miniatures: This is what our 1:72nd scale Bilbao Armored Car will look like, once entirely remastered after re-scaling our CAD prototype – that was initially produced at 1:100th. 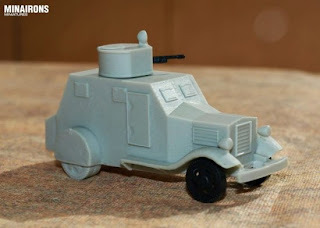 As you can see, it is resin-made with hard-plastic fore wheels and machinegun. 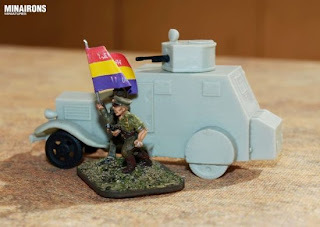 Minairons' 1:72 Bilbao will be released on August 15th as a boxed set.